This is air of china clover cups, lunch plates and mug cups. 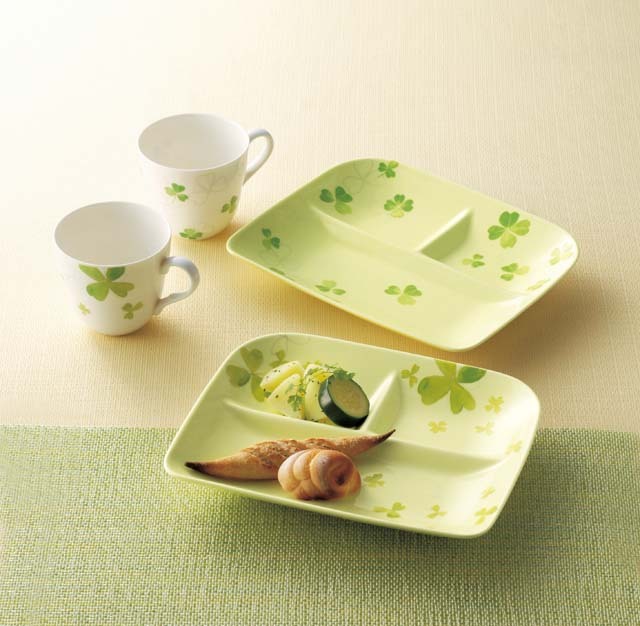 The lunch plates are light green with clover patterns and the mug cups are white with clover patterns. Ideal item for a wedding gift, birthday gift, etc.